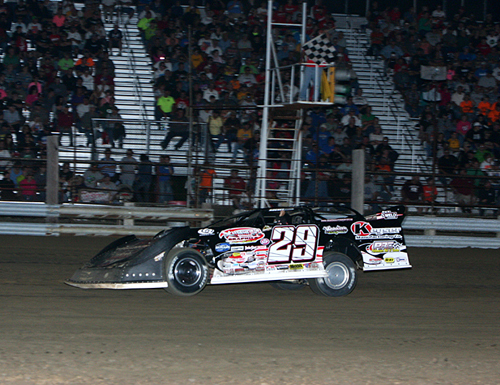 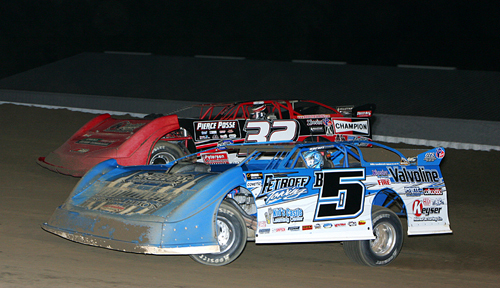 Darrell Lanigan won his second straight World of Outlaws Late Model Series feature at Independence. 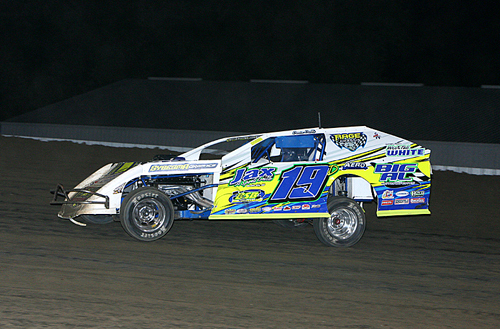 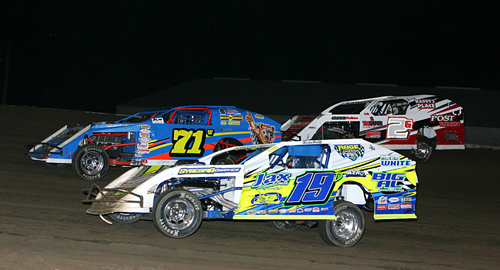 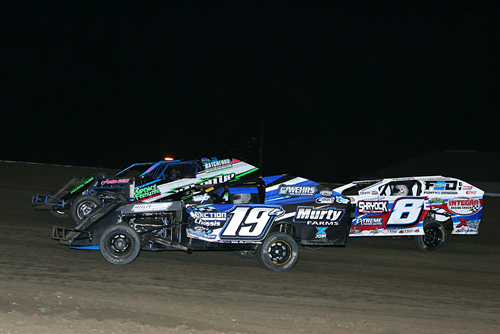 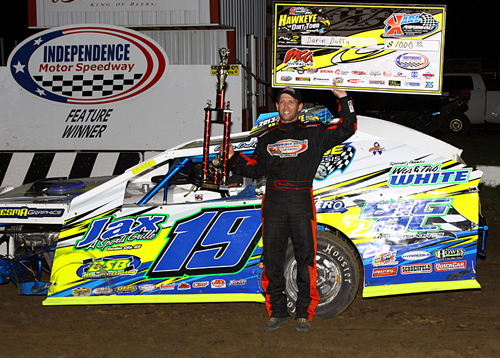 Darin Duffy of Hazelton, IA, won the Hawkeye Dirt Tour for IMCA modifieds. 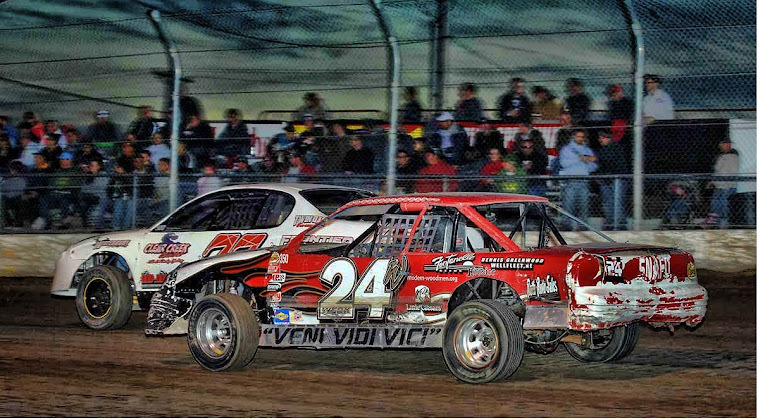 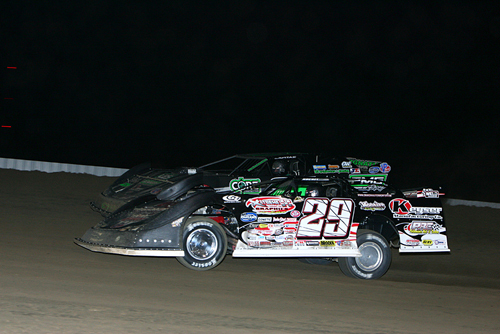 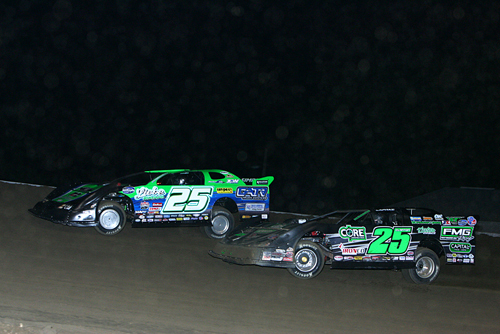 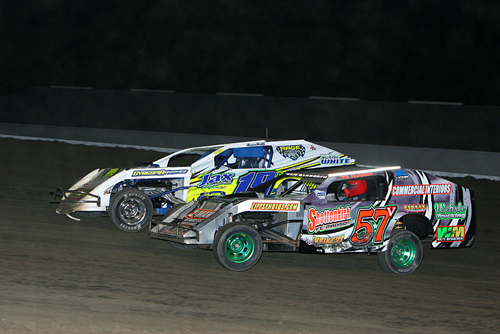 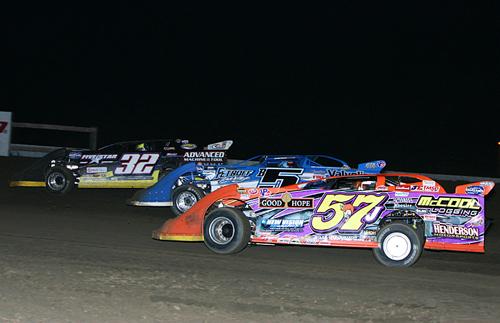 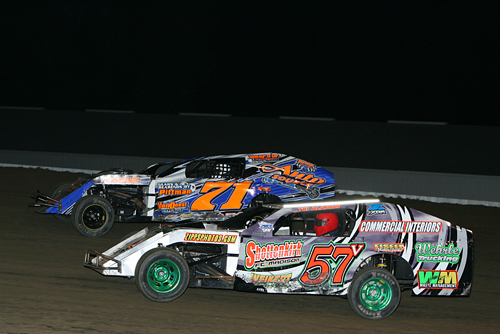 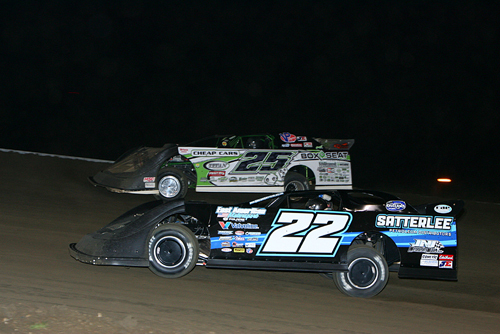 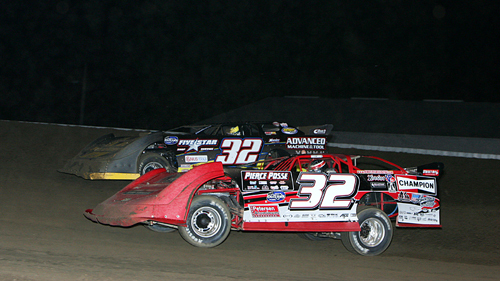 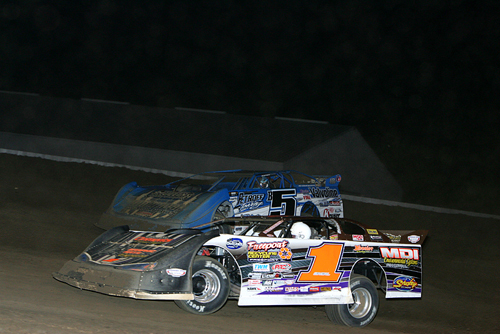 Shane Clanton (25) and Chad Simpson (25) battle for position. 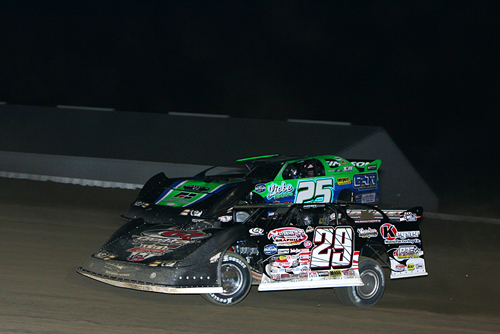 Darrel Lanigan (29) passes Shane Clanton (25) for the lead. 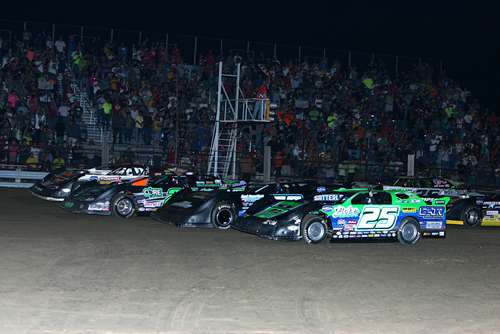 The World of Outlaws salute the capacity crowd with a four-wide parade lap. 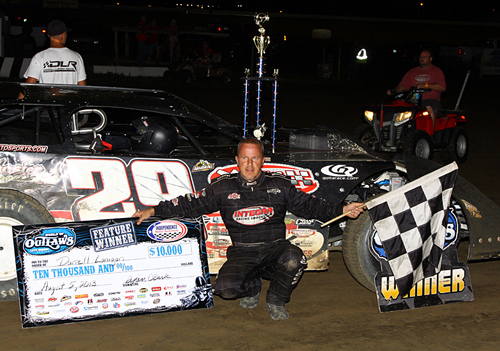 Darrell Lanigan takes the checkers and the $10,000 payday. 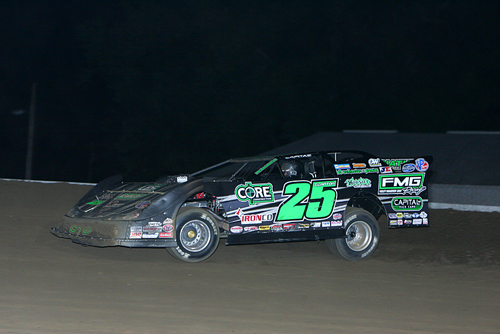 Darin Duffy en route to winning his second Hawkeye Dirt Tour event of the year.